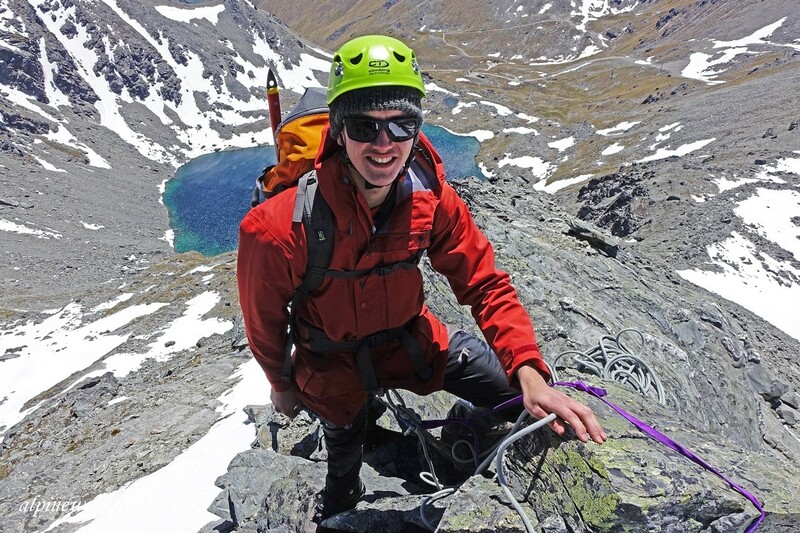 This Adventure Guide Internship offers adventure, qualifications and a job offer all in one. Train + Certify + Work! Constructed as a stepping stone into the adventure tourism industry, this internship is also is the perfect for those looking to enjoy a change of scene and a chance to work outdoors. Over twelve weeks of adventure and travel, you’ll find yourself on the top of the highest peaks, meandering down enormous glacier-driven river valleys, exploring new golden sand beaches by kayak, hanging from rock faces with your new mates supporting you all the way. 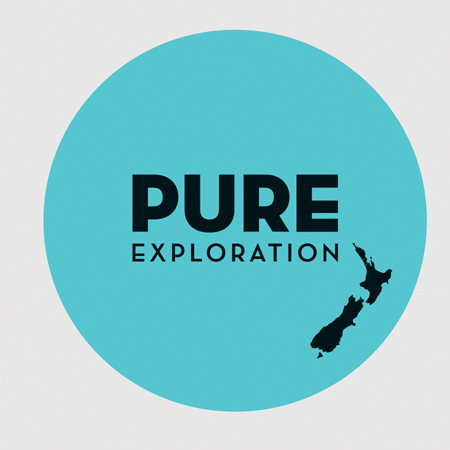 New Zealand’s diverse and spectacular outdoors will be your classroom, with lessons on leadership, new outdoor skills and strategies to help in every area of life. You’ll also complete world-recognised outdoor adventure guiding certifications and gain a front line adventure tourism job offer in legendary Queenstown! Real travel isn’t just about box-ticking guidebook recommendations or Instagram shots, it’s about authentic experiences spent with new friends who inspire you to think about the world and yourself in new ways. We also know that finding a job when you are travelling overseas is tough. It's competitive and often skill specific. 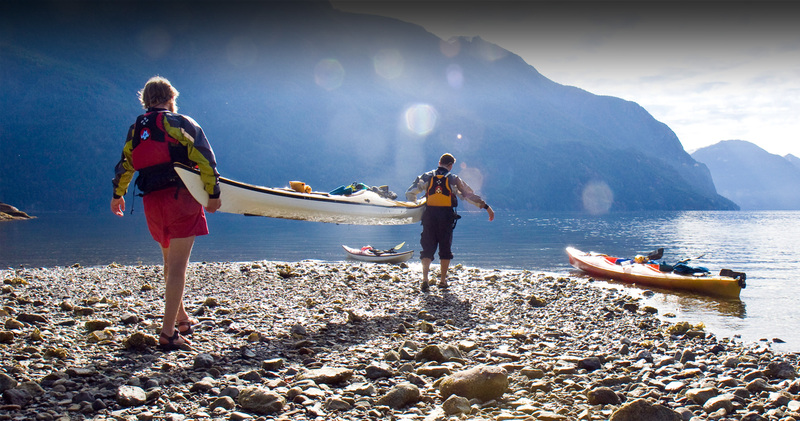 We've worked closely with adventure tourism operators in New Zealand to develop a range of programs that not only help people get a foot in the door to a great adventure tourism jobs in Queenstown, but also provide knowledgeable and competent employees to local companies. 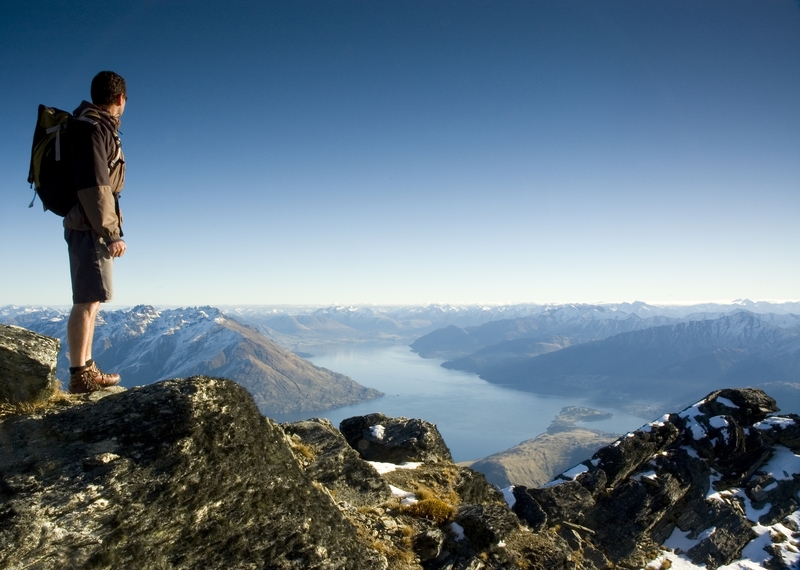 We are everyday Kiwis, helping you have extraordinary experiences. As I applied for this program I had no idea what I want to do in my life, but I wanted to get more into Rock Climbing and Outdoor Sports in general. 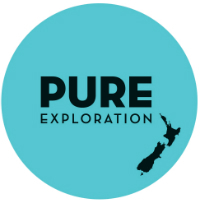 Also, New Zealand was on my bucket list for years, so I couldn’t help myself and cancelled the job I had lined up at a husky farm in Norway and booked my place at Pure Ex. And man, I can tell it was a good decision. I would recommend this program to anybody who is interested in rock climbing, hiking, or generally the outdoors. No matter if it is to enhance your personal skills or learn, how to deal with clients, groups and instruct other people. The two main aspects this program focusses on are Rock Climbing and Hiking/Tramping. My experience in Rock Climbing was basic before I came here. I had climbed top rope once outside, had a few lead climbs inside and went indoor bouldering every now and then. But I was just too afraid to go climb outside, because I had no Idea what to do. Now after this program I’m going out at least once a week and do intermediate (multi pitch) lead climbs and take my friends and can explain them how things should be done. Also I feel way more confident since we learned almost everything about sport climbing, if it is setting up an anchor at the top, where there are bolts or using a tree – I can do it. I can safely abseil a route to retrieve gear or set up top topes. And I can ensure my personal and the groups safety is guaranteed. In terms of hiking/tramping I had a bit more experience. I did a 5-day hike and multiple one or two day hikes before I came here. But once covering the topics in the program I realized that what I was doing before wasn’t wrong but I was missing so much knowledge. The two most important skills I took away from the tramping module was the navigation with map and compass, and making my own weather forecasts. Besides that, we covered plenty of other skills like good, cheap & light food on the trail, group management and leader ship, shelter building, fire lighting, emergency procedures, safe river crossing, how to pack a bag. Besides all the above we did a swift water rescue course and hand down the best pre-hospital emergency care course! For me the learning was the perfect mixture between hands on, practical learning, and a bit of theoretical information. And all that was mixed up or during nice trips around the South Island. With the 3 months of work experience I would recommend this program to anyone who is thinking about getting a foot in the outdoor industry or is not sure if this is the right path for you. I’m quite sure that after this program you will know it! And even if you just want to spent a good time in New Zealand and learn a plenty of cool skills, you should join. Be prepared for last minute changes of plans and schedules, because that’s just how it works in this industry. If you think all this sounds good and you want to join don’t overthink it – chances of meeting a great group of awesome, likeminded people is super high… you might even end up as a climbing/outdoor nerd and invest in your own gear! After studying Natural Resource Recreation and Tourism at uni and doing an internship learning about the business side of a guiding and tour operating company, I wanted to check out the other side of the industry to see if I could hack it as a guide. The AGP provided the perfect opportunity for this, to start from the basics and train up to a leader position under the world-recognized NZOIA qualifications. I gained so many technical skills in rock climbing, abseiling, and trekking, as well as personal and group skills living, working, and training with the other interns over three full-on months. We got to experience some of the most amazing parts of New Zealand in ways many don’t get the chance to, namely by being fully in and amongst it in the outdoors. There’s nowhere quite like New Zealand, from its landscapes to its people to its never-ending possibilities for exploration. I am so happy with this program and everything it gave me, and am so looking forward to continuing in the outdoor industry thanks to the confidence and competence Pure Exploration’s AGP has provided me. I chose this program as something to help me gain entry into the outdoor education and guiding industry, and I could not have been more thrilled about how things worked out here. I learned so many new skills that are going to help me secure jobs in an industry that I never dreamed I would be able to get into, and now I'm prepared for anything the wilderness recreation jobs can throw at me. I worked directly with experts in the field that taught me how to keep myself and others safe, but also gave me incredibly useful advice through real work experience. I can honestly say I now feel super confident in my ability to apply all this new knowledge to navigate a tough job market and come out exactly where I want to be. Not to mention, New Zealand is beyond beautiful and every day spent working outside here has been so much fun. Through this program I got to see so much of the South Island, and really immerse myself in the natural beauty of the areas I visited. I had to complete an internship as part of my degree program in Human Dimensions of Natural Resources (Concentration in Recreation and Tourism) and I could not be happier with Pure Exploration! Coming from Colorado, I was a bit unsure how to secure an internship abroad that would fulfil my academic requirements. Pure Ex did an awesome job of facilitating my needs pre, during, and post my internship and made sure all of my program requirements were met. I got to experience several of the high adrenaline activities that make Queenstown one of the top tourist destinations in the world while gaining super valuable sales training. I felt at home as soon as I got here - everyone in town and the Pure Ex team have been so welcoming, friendly, and kind. Queenstown is the most beautiful and most fun place I have ever lived..it's absolute paradise for outdoor enthusiasts and anyone that appreciates a good time. I gained so many skills and so much industry training through this internship that will surely set me up to do great things in the tourism sector in New Zealand and wherever my travels take me next. Anyone looking to complete an internship abroad, for academic credit, over a gap year, or as an addition to a CV, can rest assured that this program will give you everything you're after, and more! Your request will be sent directly to Pure Exploration & Pacific Discovery.